Whether you grew up in the countryside, or love camping in the great outdoors, nature is something truly special. Whatever comes to mind when we say enjoying mother nature, we all can agree on her peace and beauty. Sometimes we might find ourselves a bit nostalgic when we’re in a busy city or often stuck indoors. Luckily, it’s not that hard to bring the outside into your flat. And if you’ve always been living in the city, don’t worry there’s no shame. Transform your living space with this how-to guide on how to bring nature indoors. We all need a break from the city life. It would be nice to see something other than buildings and busy people. Picture yourself in a forest… under tall trees, taking a walk on a small path, nothing can disturbs you. Still can’t imagine it? 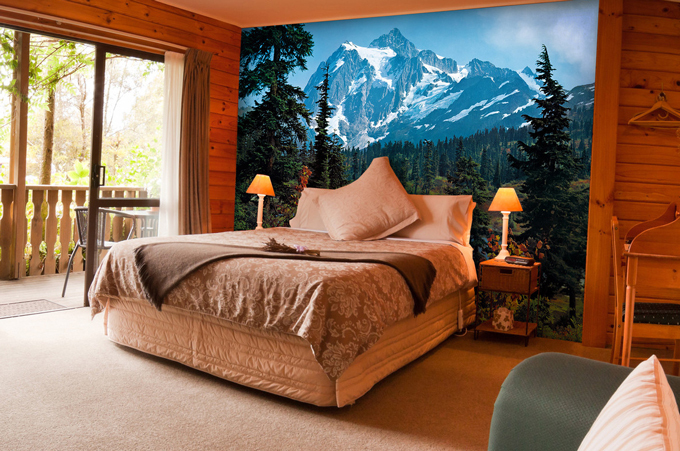 Hang one of our beautiful forest murals in your living room, or even a picture of calming oceans to put your mind at ease. 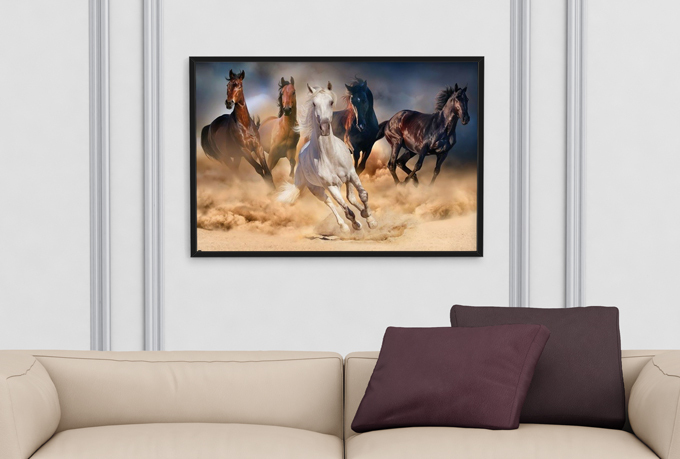 FIND THE PERFECT NATURE WALL ART! Animals are also part of nature, just like we humans should be. Let’s hope that we don’t completely destroy our planet any time soon… There’s mystery and power when you look these creatures. There’s beauty seen in galloping horses running in a field, or wild deer in a forest. The animals seen in cities aren’t quite the same as the ones in the country side or in more exotic places. Hang up an animal poster to see more than just pigeons flying outside your window. If you miss your weekend cabin, or if you have some fond memories of spending time in a countryside home, we have some tricks for you. It’s not hard to create a rustic atmosphere in your home. Hang up some wooden signs! Natural raw materials such as wood adds that little “cosy” something. Adding some retro wall art will add a vintage touch that is often seen in countryside houses. Even a few metal signs can do the trick. CREATE A CABIN ATMOSPHERE WITH WOODEN SIGNS! In the end the most important thing to remember is that even within the city, you’re never really that far from the therapeutic outdoors. Don’t forget to go on an adventure, but until then, decorate your home like a fairy tail forest.